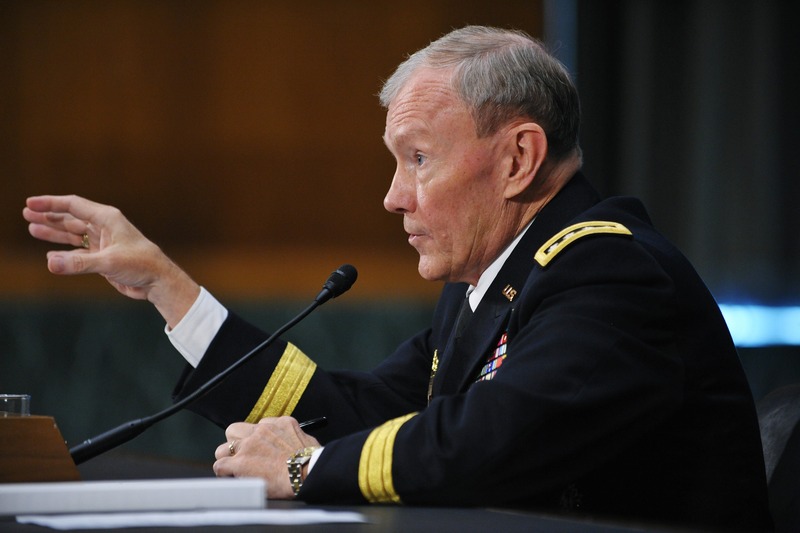 WASHINGTON (CNN) - The Senate Armed Services Committee could be forgiven had Tuesday's confirmation hearing for Gen. Martin Dempsey gone very quickly. Dempsey is President Obama's nominee to be the next Chairman of the Joint Chiefs of Staff, but he just went through a confirmation hearing four and a half months ago when he was nominated to be the Army Chief of Staff. But this hearing provided an opportunity for Senators to discuss the issue that has dominated the hill for weeks; budget cuts. "What concerns me most about our current debate is that the defense cuts being discussed have little or no strategic or military rationale to support them," Republican Senator John McCain said. "Our national defense planning and spending must be driven by considered strategy not arbitrary arithmetic." Across the aisle, Senator Carl Levin, the Democratic chairman of the committee said "the fiscal realities that confront the nation will put tremendous pressures on the Defense Department's budget. Those fiscal realities require us, when considering defense planning and programs, to take into consideration historic budgetary constraints." Dempsey testified that this budget debate is an anomaly. "I'm a student of history, as you know, and I've studied the post-Vietnam period, I've studied the post-Desert Storm, Desert Shield period. What makes this period different is we're doing all this while we're still actively engaged in conflict and we have young men and women in harm's way. And that - that adds a degree of complexity and a degree of uncertainty that I think we can't discount." McCain claimed that the Obama administration was pushing for $800 Billion in defense cuts over the next 12 years and asked Dempsey about it. The general said "I haven't been asked to look at that number, but I have looked and we are looking at $400 billion and I would react in this way. Based on the difficulty of achieving the $400 billion cut, I believe $800 billion would be extraordinarily difficult and very high risk." The issue of the mission in Iraq, where Dempsey served two long tours of duty, came up as well. Dempsey explained that his sources there tell him it appears "Iran's activities in southern Iraq are intended to produce some kind of Beirut-like moment as - and then in so doing to send a message that they have expelled us from Iraq." Dempsey later said if Iran tried to attack U.S. troops "it would be a gross miscalculation to believe that we will simply allow that to occur without taking serious consideration or reacting to it." As he was in March, when he was before the same committee for his appointment as Army Chief of Staff, Dempsey is expected to be easily confirmed as the next Chairman of the Joint Chiefs of Staff. He will take over for Adm. Michael Mullen, who is set to retire this fall.